This week’s featured project illustrates the importance of high-quality craftsmanship, even on the simpler projects. This client in North Central Austin called Archadeck of Austin to convert their existing covered porch into a screened porch. The homeowners have an outdoor kitchen built into this porch. After several years of trying to enjoy their open porch, they realized they were not going to be satisfied with it until they had screens installed, too. The scope of the project required that we build and frame a screened wall system to fill in the open sides of the existing porch, enclosing the porch and the outdoor kitchen within. For the framing, we used Douglas fir instead of cedar because the homeowners wanted the wood to be painted. Douglas fir is a smoother lumber than cedar, and it receives paint and stain better than cedar does. Also, Douglas fir is accustomed to humid climates, and it’s dimensionally stable (meaning the wood maintains its original dimensions when temperatures and humidity fluctuate). When Douglas fir expands and contracts during exposure to moisture, it is not likely to warp or buckle, making it an excellent material for this screened room. Instead of purchasing prefabricated screen panels, we custom built everything in this North Central Austin screened room project. 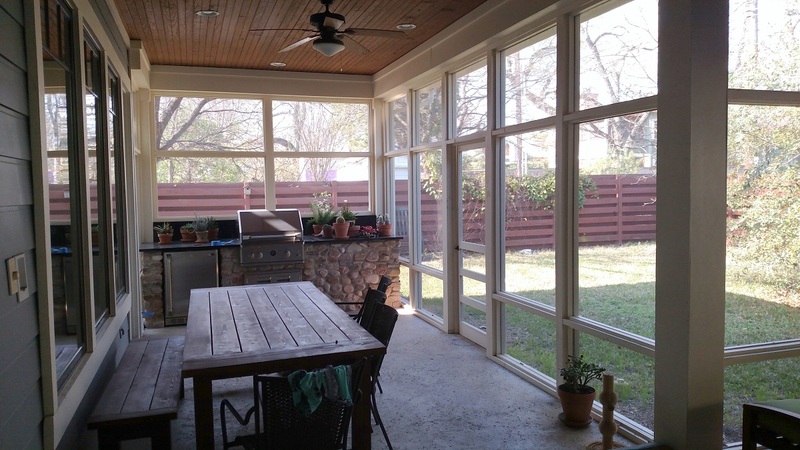 While we appreciate some of the short-cuts of today’s building methods, at Archadeck of Austin we prefer to install screens for a screened porch the old-fashioned way. Some builders use a tuck and roll method of installing screens, but we have observed that screens installed this way are inclined to stretch and sag. Instead, we use the blind stop method. For this we attach wood trim to each side jamb of the frame. The trim (also called an outside stop or blind stop) defines the outer edge for the screen. After we insert the screens, we install another piece of trim, this one called an inside stop. This method produces a stronger screen panel and keeps the screens taut. 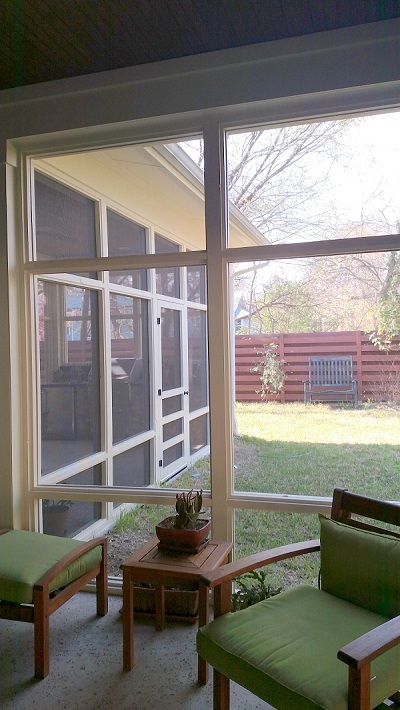 We also use a higher quality, heavier screen than many builders use for screened porches. — Before and after – WOW! Our clients are already enjoying their newly screened room. They have the same view of the outdoors and they can still feel the warm air and cool breezes, but they no longer have to contend with uninvited flying insects. Finally, they can relax and enjoy meals prepared using their outdoor kitchen. If you have a design challenge within your outdoor living space, Archadeck of Austin may be able to solve it. Call us today at (512) 259-8282 or via email at [email protected] to schedule a free design consultation. 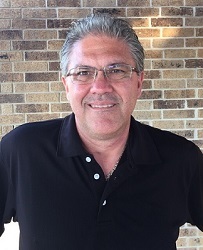 Jim Schallon, Lead Designer at Archadeck of Austin.